The smart traveller plans their trip abroad so that they can make the most of their actual time away. Planning a trip abroad is your chance to make sure everything comes together to make a perfect holiday. These overseas travel planning tips will help you enjoy the dream break that you deserve. Make sure you know how you will be getting to the airport to catch your flight. Get that train or taxi booked and make sure you leave enough time to clear customs. When buying your plane tickets, take into consideration that a really early or late departure may have implications for the cost and availability of transport to the airport. Make sure you have comprehensive travel insurance and ensure it covers you for the places you plan to visit and the things you plan to do. If you wish to scuba dive make sure this is not an activity excluded by your policy. Taking out an annual multi trip policy will save you both money and the trouble of arranging cover for every trip. There are so many opportunities these days thanks to the internet to really bag a bargain. Think outside the box by using the web to snare yourself a dream holiday apartment through sites listing privately owned holiday accommodation or consider a holiday home share. Find out � and adhere to � the baggage allowance for your luggage, including bags you check-in and those you intend to carry-on. You can really be stung by additional baggage fees. Remember that there can be strict limitations on carrying on liquids, and sharp objects. Save yourself losing that expensive bottle of perfume by finding out in advance from your airline what is and is not allowed. Look into the visa requirements of the countries you will visit � do you need to arrange a visa beforehand or will you need to obtain one on arrival? 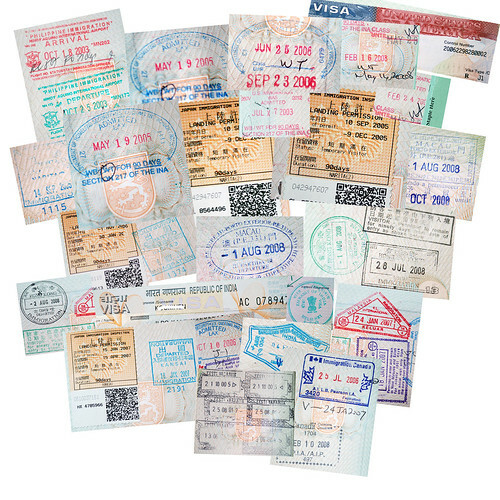 Your passport should have at least six months� validity from your planned date of return from your holiday. In case of theft or loss you should always carry extra passport photos to aid the speedy replacement of your passport if necessary. It is also a good idea to make copies of your passport details, insurance policy, visas and credit card numbers. Carry one copy in a separate place to the originals and leave a copy with someone at home for safekeeping. Check with health professionals for information on recommended vaccinations and other health precautions associated with the countries you will travel to. Vaccinations can be part of the entry requirements for certain countries and some medications that you may be prescribed at home could be proscribed abroad. The smart traveller is prepared and uses the information and resources widely available online to find out all they need to know so they can kick back and enjoy their overseas holiday to the max.